Zdeněk Šimek is a very productive czech programmer. Under the label ZXRetrosoft he programmed 4 Sokoban programs during the last 3 years. 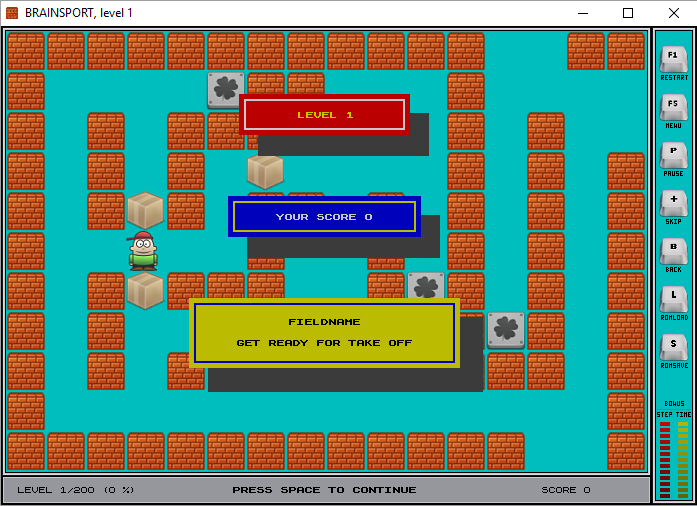 The first, Brainsport (2013), is a remake of a 1991 Spectrum Sokoban program. 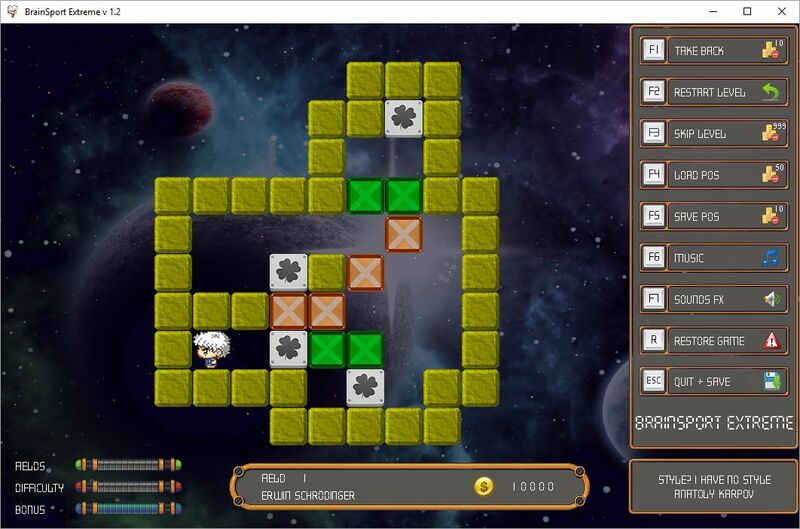 Brainsport comes with 99 original levels and 100 new levels made by Zdeněk. 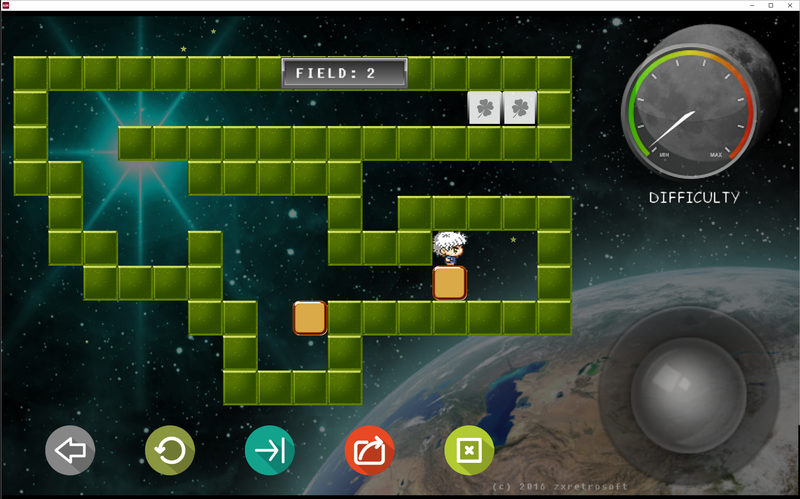 Next came Brainsport Extreme (2014), a totally new program, programmed to show the capability of basic programming tools. Also with 100 new levels. 2016 came Sokoban Extreme. Sokoban Extreme is obviously a follow up to Brainsport Extreme. Again with 100 new levels. Also 2016 came Sokoban for Kids with a cuter interface and easier levels. You can download all the programs for free from ZXRetrosoft. You will find all the programs for Windows. 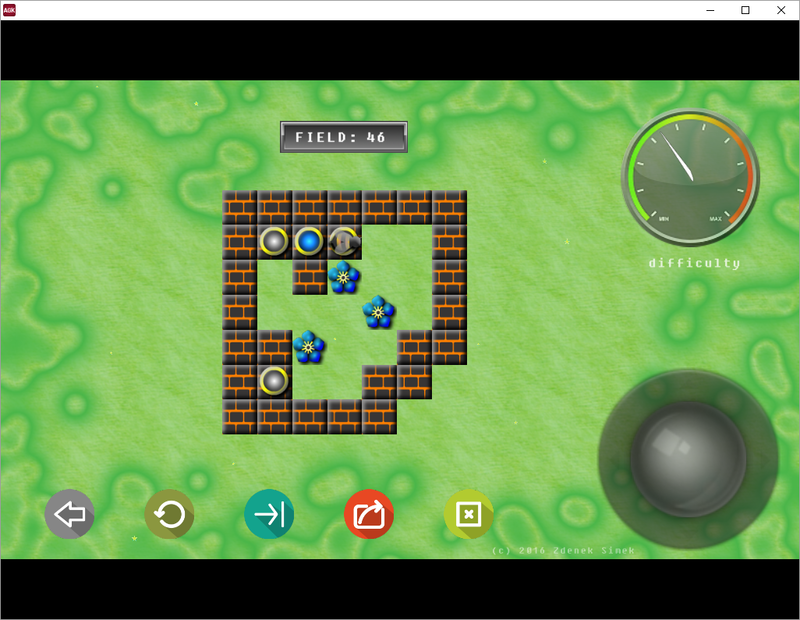 And Sokoban Extreme and Sokoban for Kids for android. The levelsets seem to be autogenerated, probably with a human touch afterwards. The quality is varied from ridiculously easy to very challenging and satisfying to solve. If you ever tried David Hollands autogenerated levels you will get an idea what you are up against. By kind permission from the author and the work from Paul Voyer you can get the levelsets for Brainsport Extreme and Sokoban Extreme from LetsLogic. As a special bonus you get a few extra levels in the Sokoban Extreme levelset.